FREE Valentine's Day Storytime At Barnes & Noble On Feb. 14! You are here: Home / FREEbies / FREE Valentine’s Day Storytime At Barnes & Noble On Feb. 14! FREE Valentine’s Day Storytime At Barnes & Noble On Feb. 14! It’s time for storytime at Barnes & Noble! Head to your local store for FREE Valentine’s Day Storytime at Barnes & Noble on Feb. 14 at 11 a.m.! The featured book will be “I Love You Just Like This”, and there also will be activities related to the book! 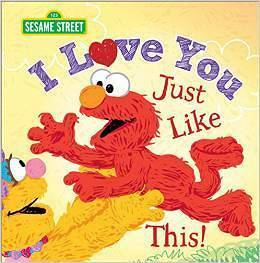 There are lots of ways to say “I love you”-and Elmo and his Sesame Street friends are ready to tell you in as many ways as they can!